Professional Knives, designated for cutting foods. Damascus Knife Made of VG-10 top grade steel cutting core; 67 layers of the Damascus steel. HRC 59+ hardness. Kitchen knives with color wood handle , Perfectly weighted and balanced bolster. Superior cutting edge cooking tools . This top grade knife\'s blade is strong and sharp through more procedures. 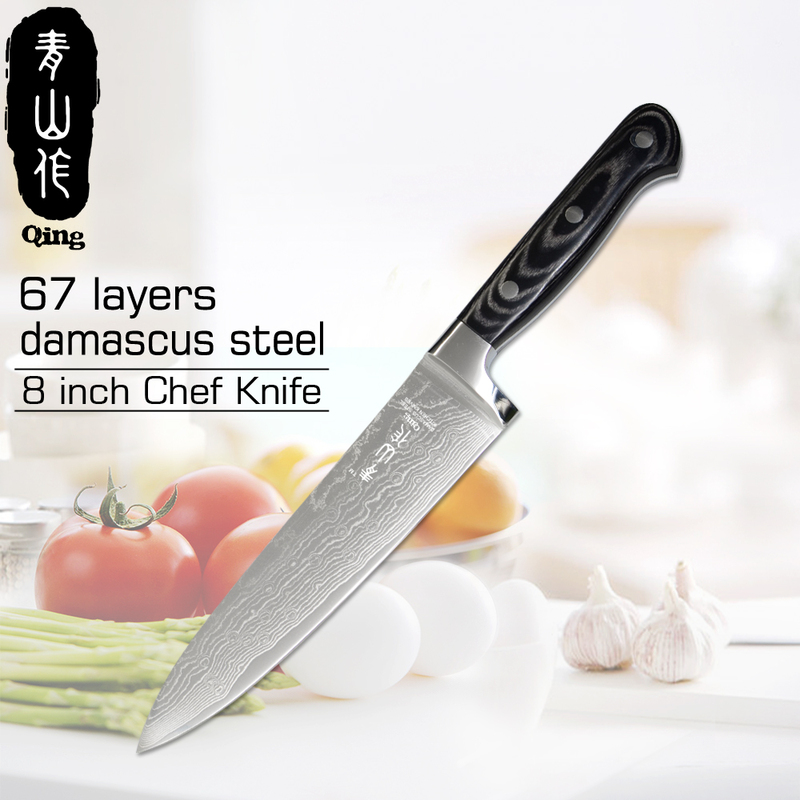 it is high grade and durable.Which is imported Damascus steel, high-quality steel by forging repeatedly, forged steel has natural texture.Damascus steel is the best tool materials at present, making the cooking knife you can have a very sharp blade, but also very tough and will not break the blade. within 6 days once your payment is completed. brokerage fees, duties, and taxes for importation into your country. These additional fees may be collected at time of delivery. be responsible for such damage or loss, and we will not give the buyer a full refund. We offer the 1 month free replacement. Buyers may request for a replacement within 15 days from your receipt of the product. the shipping costs for return. If any part is required to be replaced, the buyer should also pay for the costs of the parts to be replaced. logistic company, please send us the tracking number. As soon as we receive the items, we will repair or exchange them ASAP.